Making sure your belongings arrive safely to your new home is the point of packing. Otherwise, you’d just toss everything you owned and get new things when moving your home. So, we can see that packing is crucial to the moving process. Unfortunately, this doesn’t make it any less boring, and people tend to rush it to avoid this boredom. Rushing your packing process is a terrible idea, especially if you need to pack fragile items. This can lead to irreparable damage to your household, not to mention the cleaning you’ll surely need to do if you choose not to pack your sensitive items carefully. Luckily, Zippy Shell Greater Columbus Moving and Storage can help you learn how to properly pack your fragile belongings without any risk of damaging them. Check out this awesome advice from our experts. The best way to successfully complete packing your sensitive items is to start as early as possible. You’ll want to divide your packing process into three major parts, and then start doing these as soon as you know you’re moving out. Preparing your home for the move and preparing your items for the packing process is crucial if you want to pack fragile items successfully. Start planning your packing process as soon as you decide to move your home. This will help you have a system in place when the packing time comes, which will, in turn, allow you to pack fast and without issues! The second part will come a week before your actual moving day. This is the part of the moving process that people dislike the most, which is perfectly understandable since it can take forever to safely pack your things. This is the perfect moment to ask reliable movers in Columbus, Ohio to help you pack if you think you’re in over your head. Don’t hesitate to ask for help or advice as it’s better to avoid mistakes when packing than to regret them later. Finally, after you’ve packed everything, it’s time to double check your boxes and make sure that everything is alright. At this point, you can even have your things put in useful residential storage units in Columbus to make it easier to ship them. Or, if you’re moving them yourself, you’ll want to make sure the boxes are undamaged, packed well and ready to go. Double checking your packing is especially important when you’re trying to pack fragile items safely. good boxes – even though boxes alone won’t save your items from damage, you should still invest in good boxes. They are the cornerstone of moving and absolutely crucial to every relocation. plastic wraps – sheets of plastic wrapping can cushion your items when they’re in boxes to ensure they don’t hit anything. paper – using crumpled up newspapers and magazines to fill in the empty space in your boxes will prevent your items from bumping into each other. This is a great way to pack fragile items without damaging them. protective wrapping – you can choose to go the extra mile by packing your things in protective wraps. These come in many shapes and sizes, so you’ll need to pick the best one for your belongings. cotton – use old shirts, socks and any loose fabric you’ve got around the house to provide an extra layer of protection for your fragile belongings. 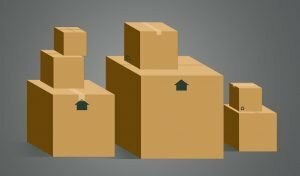 If you want to keep fragile items alive during transportation, you’ll need to know how to properly place your boxes in the moving truck. This means that the boxes containing items which can easily break should not be stacked. You should place them on the floor of the moving truck (preferably in a safe corner away from other things) and not on other boxes, or, even worse, under other boxes. Don’t stack the boxes marked fragile. If you want to pack your fragile items successfully, you’ll need to be extra careful, both with your items and with yourself. 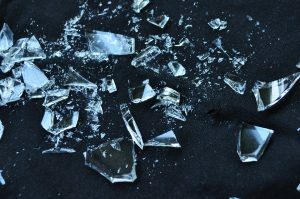 Fragile items can break and leave a lot of shards, and you’ll need to be careful when cleaning up the damage. If you’re not careful, you’ll have a lot of broken stuff and a lot of chances to injure yourself on sharp shards of what used to be your grandma’s precious vase. So, make sure you take your time and pack each item carefully in order to avoid common moving injuries. Be careful not to get cut if your fragile items break. 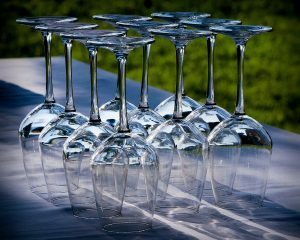 wine glasses – extremely easy to break and very awkward of shape, your average wine glass is when we call a packing nightmare. The best way to pack them is to keep them in their original box. snow globes – if you’re a collector, you’ll need special boxes just for these. In the end, if you have a lot of challenges when packing your fragile items, it might be a good idea to hire packing services in your area. Professional movers can help you pack these tricky items because they have a lot of equipment and experience. Pay special attention to wine glasses, they’re a real pain when it comes to packing. You’ll want to pay special attention to how you pack fragile items when you need long distance movers Columbus Ohio. Long distance relocation is much more difficult and your items will be at more risk. So, make sure you prepare extra carefully for these moves. Additionally, in these situations, it’s a good idea to ask your movers to provide assistance with packing.